A technical presentation of current situation and perspectives of ITS in France and research program of IFSTTAR (French Research resulting from merging of LCPC and INRETS) about the different measures available to reduce CO2 emissions from transport and their consequences on the organization, the funding schemes and the use of intelligent systems and services in logistics and transport, especially in the cities. 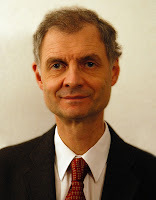 Jean-François JANIN is a graduate of ParisTech (Ecole Polytechnique in 1972, ENPC in 1974) and of the Institute for Political Sciences of Paris in 1974. He worked for the French Ministries for Environment, Industry and Transport in Paris and Clermont-Ferrand. He was also General Manager of the Chamber of Commerce of Lille for 10 years. As ITS task force manager since 2002, in the French Ministry of Transport (General Directorate for Infrastructures, Transport and Sea (DGITM) and Delegation for Road Safety), he took a major role in the implementation of several ITS systems: smart cards in public transport, European digital tachograph, automatic speed limits enforcement, national ITS architecture, multimodal travel information, tracking and tracing of dangerous goods, etc. He teaches ITS in ParisTech – ENPC, University Paris II, and ECE. 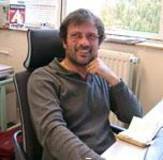 He chairs the Scientific Interest Group on ITS and represents the French Ministry of Transport in ERTICO and is involved in several cooperation agreements (America, Japan and China). For the last thirty years, Dr. Jean-Luc Ygnace has been leading research programs on new technology assessment in worldwide transportation, e.g. route guidance technologies and traffic information needs, development of cellular phone usage as it relates to transportation issues, technology and market assessment of new communication services for train users (Wi-Fi), etc. As a senior research engineer at INRETS (Institut National de Recherche sur les Transports et leur Securite, now IFSTTAR) in Lyon, France, he has closely observed transportation related technologies for many years. He have authored a seminal book “Les Systèmes de Transport Intelligent: un enjeu stratégique mondial ” in France, which focuses on Intelligent Transportation Technologies (ITS). Therefore, he is well aware of the importance of transportation technologies in solving problems of congestion, economy and safety of transportation. During all these years he has established strong research cooperation links with the PATH program, University of California, Berkeley as well as with many other universities worldwide like Kyoto in Japan, or Monash in Australia.